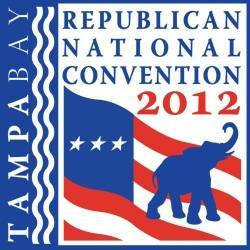 TAMPA, Florida -- The theme of the 2012 Republican National Convention will be "A Better Future." "Americans are ready for a new direction, and that's why our convention will focus on the Romney-Ryan vision for a better future,"Republican National Chairman Reince Priebus said. "After four years of high unemployment and skyrocketing debt, we need America's 'Comeback Team' to get the country working again and protect the American Dream for our children and grandchildren." "This convention will bring together Americans from every corner of the country and every walk of life," said convention Chief Executive Officer William Harris. "Whatever their background, wherever they're from, they know too well that our country faces serious problems. But they also know that the American people have confronted difficult challenges before, and that together, with strong leadership, we can overcome those challenges and secure a better future for generations to come."